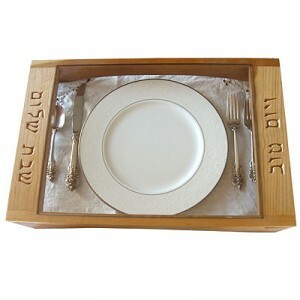 These unique challah boards are designed to fit over your place setting. 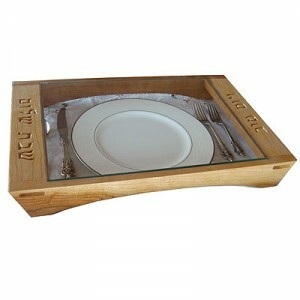 Available in Cherrywood and African Walnut. 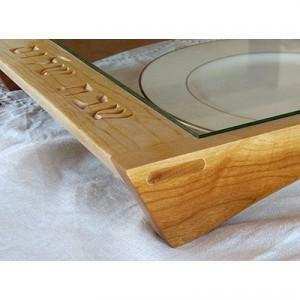 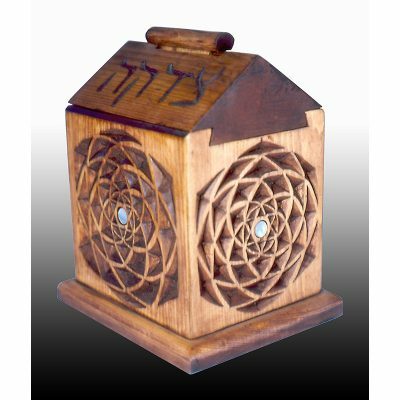 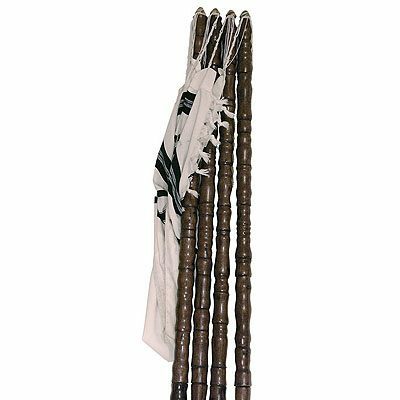 Hand carved frame engraved shabbat shalom and yom tov, features exposed mortise and tenon or dovetail joinery, durable lacquer finish, and removable glass cutting surface for easy cleaning. 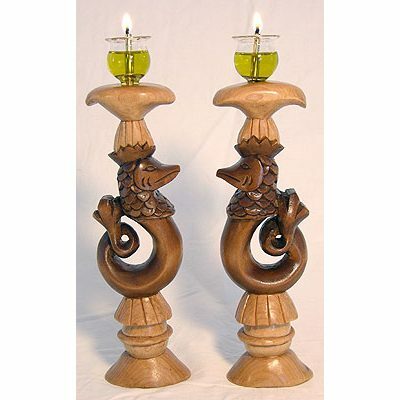 Currently in stock in various sizes and carving detail – please inquire for pricing or custom options.